Landscape lighting is a fabulous way to add drama, beauty, and a welcoming feel to your yard. Sure, your grounds are on display during the day, but why not show off your beautiful garden, fountain, or other feature at night, too? 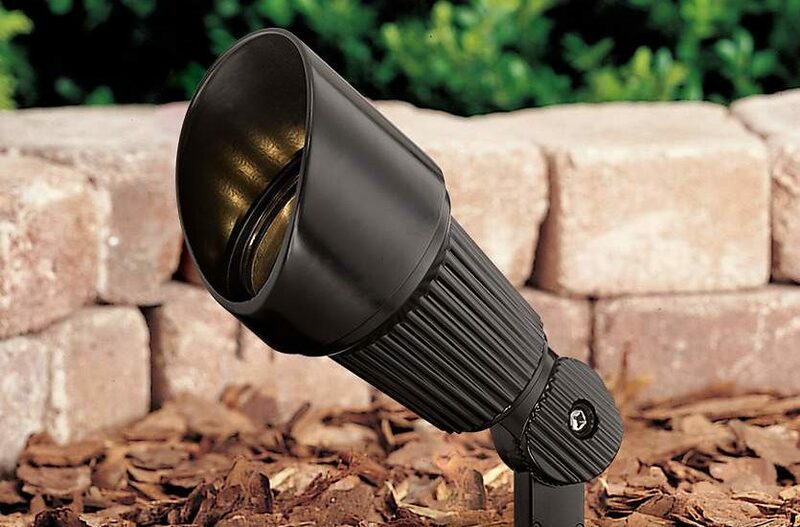 Installing pathway lights or a spotlight to your landscape can add a beautiful new dimension to your home. Plus, illuminated pathways are also safer and more inviting for guests after the sun goes down. In this article, you’ll learn the basic info to map out your system and purchase what you need to light up your evenings. 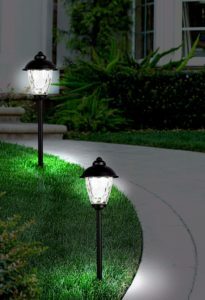 One of the best ways to balance striking brilliance with security is by installing low-voltage landscape lighting. It’s affordable, flexible, expandable, safe, and easy-to-install. Here are some ideas and information to help you plan and implement outdoor lighting at home. A detailed plan, complete with measurements, will help you purchase the right system and accessories. Once you have a rough idea of where you want your lights to go, take some measurements so you know how much wire you’ll need. Know where your power sources are. Most transformers will plug directly into a standard outlet, so determine which outlet, or outlets, you’ll be using. If necessary, hire a licensed electrician to install new outdoor power sources. Buy a landscape transformer that has enough capacity for the system you want to install PLUS a couple of future additions (see the section below on determining your power needs). Match the landscape lights to the look of your home for a cohesive style. 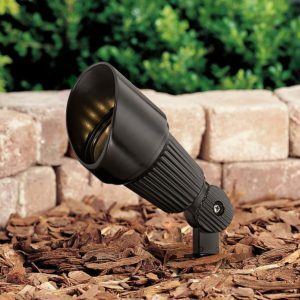 There are lots of styles available, and you’re sure to find landscape lights that fit the style of your home. Maintaining a consistent look between your home’s exterior and your landscaping will ensure the greatest curb appeal. You might also want to plan for more than just landscape lighting. 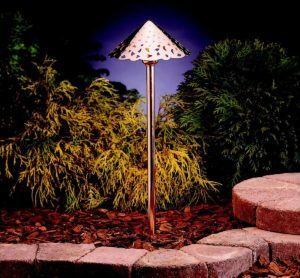 Deck and step lighting, underwater lighting for decorative ponds, garden fountains, and BBQ lights for outdoor cooking areas are also available. And safety first! If you are a DIY’er, don’t forget to read all instructions carefully and turn off power at the breaker before you start. All transformers are designated with a maximum wattage capacity. For example, a 150 watt transformer can safely provide power to a circuit demanding up to 150 watts. + Add together the wattage of your individual lights – say 6 lights each using 18 watts, 6 x 18 = 108.
x Multiply that total by 1.5 – 108 x 1.5 = 162. = The total is the transformer size, in watts, that you’ll need.In our example above, the transformer size would be 162 watts or more. Speaking of more lights … It’s a good idea to leave yourself room for expansion. If you plant a new tree or add a garden feature, you’ll be able to highlight it with an additional landscape light without having to alter your existing setup or purchase another transformer. Just give us a call at 1-800-782-1967 or visit a Lamps Plus store near you. One of our American Lighting Association trained associates will be happy to assist you with all your landscape lighting needs.